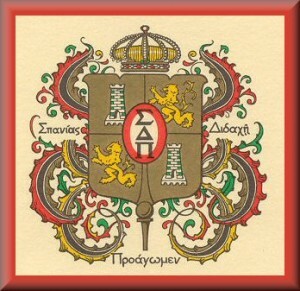 Sigma Delta Pi is a National Honor Society that recognizes those college students who attain excellence in the study of the Spanish language, literature, and cultures, and who are committed to understanding the Hispanic world. BYU’s chapter (Delta Pi) was formed in 1959; over 400 chapters now represent major universities across the US and Canada. In the past, and as recently as 2001, our chapter has received national recognition as one of 10 “Capítulos de Honor”. Our chapter is one of the most active and successful in the nation because of our outstanding members. In addition to chapter recognition, several members have received the Gabriela Mistral scholarship, awarding them summer study in Spain, Mexico, or Ecuador. We are consistently named one of the most outstanding chapters in the United States! If you meet the following requirements, join us for a memorable and historic year! *For more information visit our website here. 1. Have at least Junior class standing (60 semester hours completed) with a minimum GPA of 3.0. 2. Have completed at least 18 semester hours of Spanish or equivalent, including one course in literature (Spanish 339) or culture (Spanish 345 or 355). Special exam credit may count as part of the 18 hours of Spanish. If you are currently enrolled in one of these classes, we invite you to apply NEXT semester. 3. Be committed to encouraging understanding and appreciation of Hispanic language and cultures in the English-speaking world. 4. Pay the one-time initiation and national membership fee of $55.00 (payable with the application for membership). This fee covers the cost of a gold honor key, certificate, local dues, and also endows a national scholarship program. *If you desire membership and meet the requirements, you MUST be available to attend the formal induction ceremony. The night will also include some general announcements and information on how you can be an active member of Sigma Delta Pi. Of course you can also plan on refreshments and delightful conversation with all those present. Please contact the Sigma Delta Pi presidency (byusdp@gmail.com) with any questions.